The SNP group launched their manifesto at Lossiemouth beach yesterday. Moray’s crumbling school estate has sparked a funding row between politicians campaigning to seize control of the council. Education buildings in the region are in the worst condition in Scotland with estimates to make repairs to primary schools coming in at £66million. Yesterday in Lossiemouth the SNP group unveiled its manifesto for May’s election – pledging to take advantage of Scottish Government grants to make major repairs. Candidates also intend to turn to closing rural schools to save money only as a “last resort” – and only then if it can be proved the children will benefit. But other campaigners have branded pouring money into repairs “a waste of money” while the authority is in dire financial straits. And they warned of the possible risks of an SNP-led administration. SNP Elgin City South candidate Graham Leadbitter believes the party’s proposals offer a “balanced” approach to making savings and protecting vital services. Mr Leadbitter insisted it was essential to continue investment in schools to ensure pupils can take advantage of 21st century facilities. Secondary schools Keith Grammar and Buckie High currently top the risk list for repairs. Mr Leadbitter said: “There needs to be a strong project management team in place to deliver cost-effective solutions to refurbishments to ensure the estate is fit-for-purpose. The SNP’s proposals also include extra steps to solve the teacher-recruitment crisis. 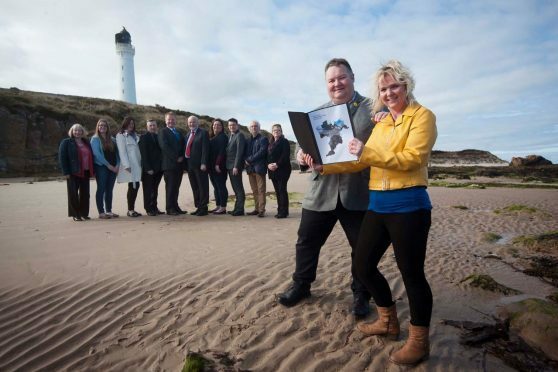 These include building links with other sectors struggling to attract staff, including engineering and the NHS, to promote Moray as an attractive region. A savings package from the group also includes a pledge to review the pay of senior staff to save £500,000 and moving control of leisure facilities to a trust to cut £250,000. Both of these options were rejected at February’s budget meeting. However, independent Forres candidate George Alexander, who served in the previous administration coalition with the Conservatives, believes money would be wasted if spent on refurbishing decaying schools. He said: “A lot of our schools are in the wrong place. It doesn’t make sense to refurbish them when there is the space to accommodate the pupils elsewhere in better buildings and cut the repair bill. It would be a waste. The SNP was the largest party after the last election five years ago and with 13 candidates is the biggest group in the field again. Mr Leadbitter is adamant an administration led by the party would “actually take decisions” in contrast with the previous independent and Conservative coalition. However, the Conservative party has warned an SNP-controlled council would risk the independence of the authority from the Scottish Government. The Tories have eight candidates, the most behind the SNP, but are pledging to work with other groups in the chambers. Conservative Keith and Cullen hopeful, Donald Gatt, said: “Our approach will be to cooperate with other representatives and seek agreement as to the best way forward to protect and enhance public services. The eight-page SNP manifesto includes a string of policies they believe will improve Moray over the next five years. Party members said they recognised the need to find significant financial savings after Moray Council dipped into its reserves for £7million to balance the books. However, their proposals also include proposals to generate more cash for the authority. One idea involves exploring the possibility of setting up an authority-run bus company to protect residents from future service cuts. SNP Forres candidate Aaron McLean said: “There is already a service run by the council from Garmouth into Elgin and another from Tomintoul to Grantown. “These services are making money and we can use them to subsidise other services. We could work with the Highlands and Aberdeenshire as well on where there is a need. A package to provide relief for business rates rises was proposed by the party earlier this year and is included again in its manifesto. Buckie candidate Sonya Warren said a reduction of management salaries could cover the cost of the scheme. Only nine hopefuls from the 45 candidates in the election are female – but seven of the 13 SNP members are women.